Advertising is a form of communication intended to persuade an audience (viewers, readers or listeners) to purchase or take some action upon products, ideals, or services. It includes the name of a product or service and how that product or service could benefit the consumer, to persuade a target market to purchase or to consume that particular brand. Advertising can also serve to communicate an idea to a mass amount of people in an attempt to convince them to take a certain action, such as encouraging ‘environmentally friendly’ behaviors. Advertising is an imperative tool used by marketers to promote a product, service, cause or business. Advertising is non personal in nature and solely aims at driving sales for the product or service. Advertising as a brand communicator bridges the gap between potential customers and the brand. Television Advertising is one popular means of brand promotion exclusively used by most of the brand owners and advertisers. TV commercials or advertisements are most often entertaining in nature along with their musical brand jingles. Audio-visual in nature television advertising is an effectual means to influence the target audience. Radio Advertising renders the most effective reach and impact to the target group to promote a brand or service. Also portable in nature radio advertising is considered one of the most successful means of brand promotion used by advertisers. In bus advertising, buses and their related infrastructure is a medium commonly used by advertisers to reach the public with their message. It is a kind of forced view advertising, the other vehicles travelling are forced to view this advertisement. Print advertising provides another valuable means of brand promotion to reach the target group. Prints ads such as flyers, mailers, pamphlets, brochures etc provide detailed brand information to the target audience. Any promotion campaign about a brand, service, cause or business which is carried out of homes comes under outdoor advertising. Outdoor Advertising is the oldest modus operandi for brand promotion. However, this means of advertising still provides effective and rich impact to the target groups about the brand. 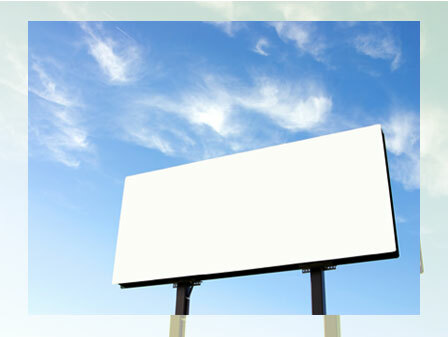 Billboards, kiosks, digital signage, translites, backlights etc are few tools used for outdoor advertising. Airport Advertising comes under outdoor advertising and is one of the latest trends of brand promotion exclusively used by outdoor advertisers. Airport Advertising targets rich potential customers who are on the go. Providing a premium look to on-lookers, airport advertising is an elite mode of promoting a brand, service or business idea. Delhi Metro Rail Corporation (DMRC) Advertising is another subset of outdoor advertising. Brand promotion via the mass rail transportation system of the National capital is one of the current trends prevailing in the market. Few tools of DMRC advertising include backlit translite, LED and LCD, digital billboards, electronic kiosks etc. Another latest technique used by outdoor advertisers is mall advertising. Mall advertising targets those customers who come to the various shopping malls to shop, dine or to simply hang out. LCD, LED, digital signage, billboards etc are few tools via which mall advertising is deployed. Mobile and Internet, both are personalized mediums of brand advertising which is why advertising via mobile or internet effectively reaches the desired target group without any failure. Few options of mobile advertising include gaming, Bluetooth, ARBT service, contest hosting, WAP applications etc. Few options of internet advertising include banner ads, viral, EDM(s), pop ups etc.